A stunning array of over 40 paintings from the New-York Historical Society’s collection by renowned Hudson River School artists, including Thomas Cole, Asher Durand, Albert Bierstadt, Jasper Cropsey, John F. Kensett, and William T. Richards, will be on view for the first time at the Brandywine River Museum of Art from March 19 through June 12. Painted between 1818 and 1886, the works illustrate America’s scenic splendor as seen through the eyes of some of the country’s most important painters. 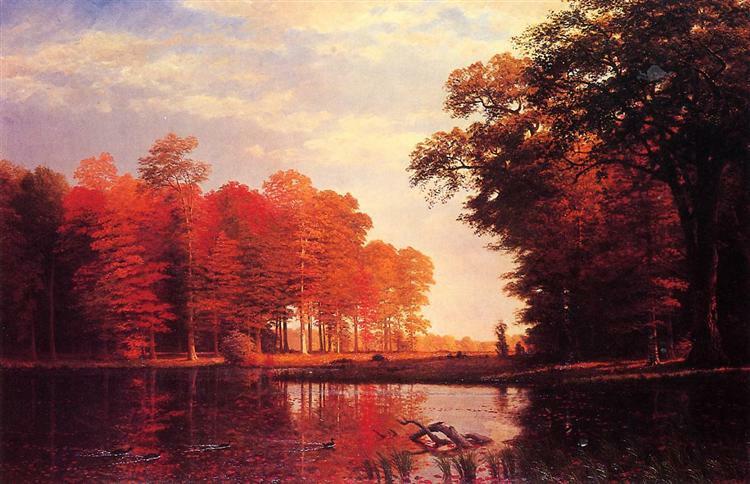 “The Hudson River School created some of the most beautiful paintings in American art. Their works forged a new vision for landscape painting and embodied the expansive and optimistic spirit of 19th- century America,” noted Thomas Padon, Director of the Brandywine River Museum of Art. The Poetry of Nature: A Golden Age of American Landscape Painting opens with seminal works by Thomas Cole and Asher B. Durand (1796–1886). The former artist first traveled up the Hudson in 1825. His tableaux capture the wildness of the American landscape. The latter frequently worked alongside Cole and was instrumental in leading the group after Cole’s untimely death in 1848. Cole’s romantic interpretations of the American landscape—represented in the exhibition by two paintings, one of a tranquil sunset view on the Catskill Creek and another of a sublime mountain landscape with jagged peaks piercing the clouds—demonstrate his mastery of perspective; he is able to convey vast open spaces and create rich atmospheric effects. Durand favored tighter views and closely observed details of nature. Paintings in the exhibition will present his vivid compositions, from majestic mountain ranges to tranquil woodland interiors and studies of trees. Durand’s influential Letters on Landscape Painting (1855–1856), promoted the movement for plein air painting, calling such excursions, “hard-work-play.” As president of the National Academy of Design, he advocated for the landscape paintings by his Hudson River School colleagues at that institution and facilitated the patronage and rise of the Hudson River School. Coinciding with an increase in leisure travel, the Hudson River painters also journeyed to regions noted for their beauty outside of New York State; New Hampshire, coastal New England, and even the Brandywine Valley were among the areas featured in their works. 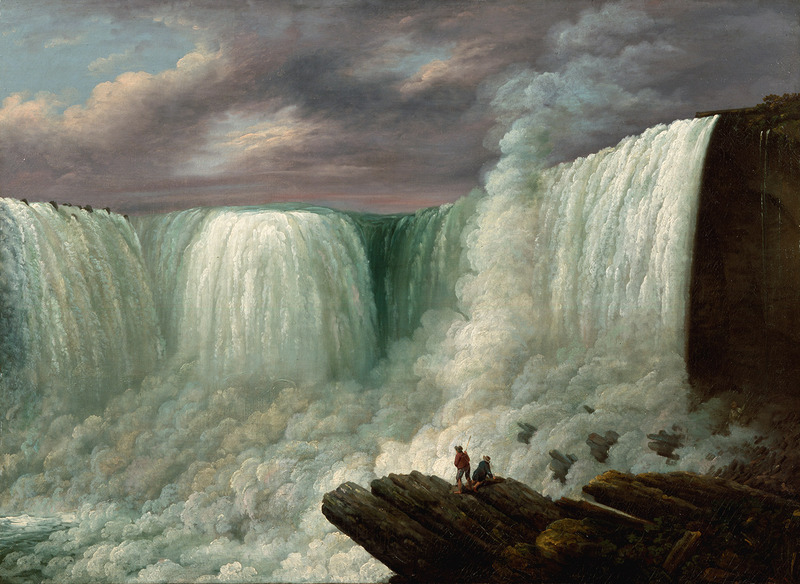 The exhibition has been organized by the New-York Historical Society, which features one of the most renowned collections of Hudson River School paintings. Dr. Linda S. Ferber, the director emerita of The New-York Historical Museum and a leading authority on Hudson River School artists, is the curator for this extraordinary exhibition. ...“Woodland Brook” (1859), by Cole's close associate Asher Durand, has a grand scale and immersive quality, but is actually constructed of various elements to heighten the depth and drama of the scene. The extremely detailed depictions of bark, leaves and dappled sunlight in “June Woods (Germantown)” by W.T. Richards adhere strictly to reality and serve to put you right on the shady path. Speaking of drawing you in, the monumental “Autumn Woods” by Albert Bierstadt has such a razor-sharp glow in its depiction of fall foliage and a leaf-strewn stream that you can almost feel the autumn breeze. and the magnificent “Morning in the Blue Ridge Mtns., Virginia” by William Sonntag. In the small painting “Catskill Mountains, Haying” by Thomas Hotchkiss, workers toil in a tiny field, still in harmony with nature but almost lost amidst all the natural splendor. 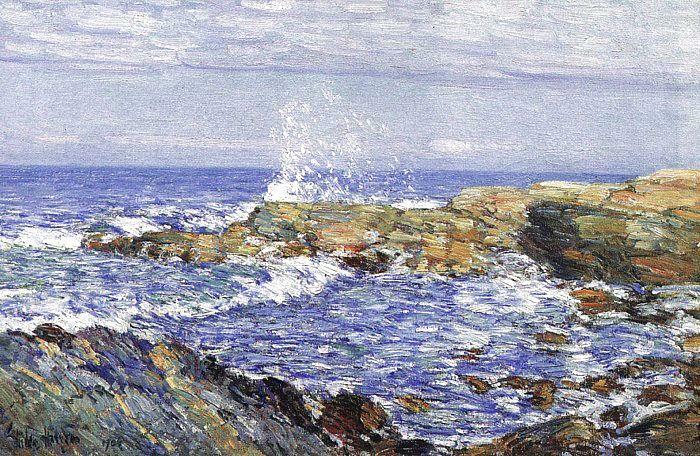 America’s finest impressionist painter, Childe Hassam spent many summers painting on the Isles of Shoals six miles off the coast of Maine and New Hampshire. This exhibition features 39 of the artist’s finest Shoals paintings in oil and watercolor, borrowed from distinguished museums and private collections. Taken together, these paintings offer a sustained reverie on nature and the pleasure of painting. They possess a rapturous sense of place: the blue Atlantic breaking against rocks and swirling in tidal pools, dense thickets of laurel wedged in granite crags, a splendid island garden with its gemlike blossoms, and the whole island world suffused with a silvered northern light. The exhibition is jointly organized with the Peabody Essex Museum of Salem, Massachusetts, with the cooperation of the Shoals Marine Laboratory. 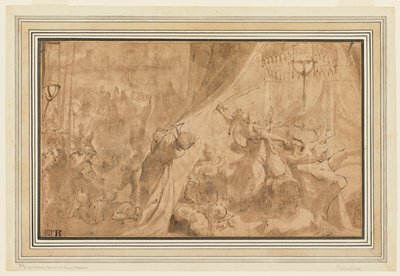 the first canvas by the artist to enter the collection of the Metropolitan Museum of Art. 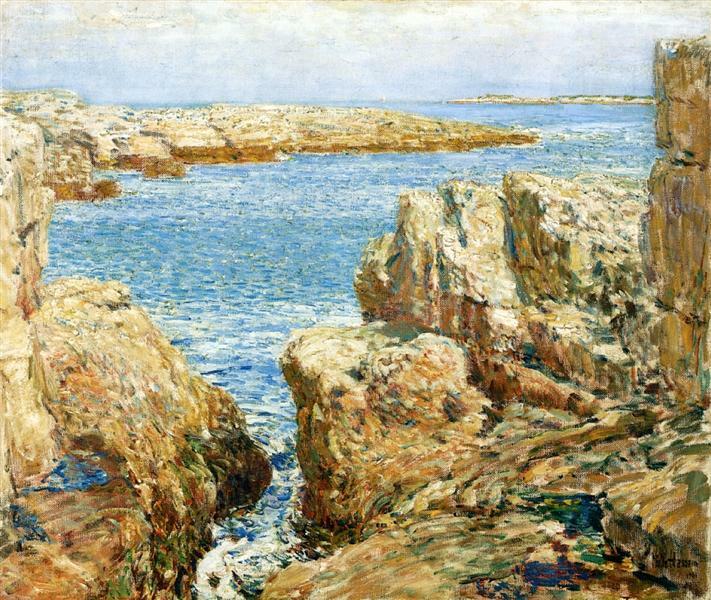 Childe Hassam. Isles of Shoals, Broad Cove, 1911. Oil on canvas. Honolulu Museum of Art. 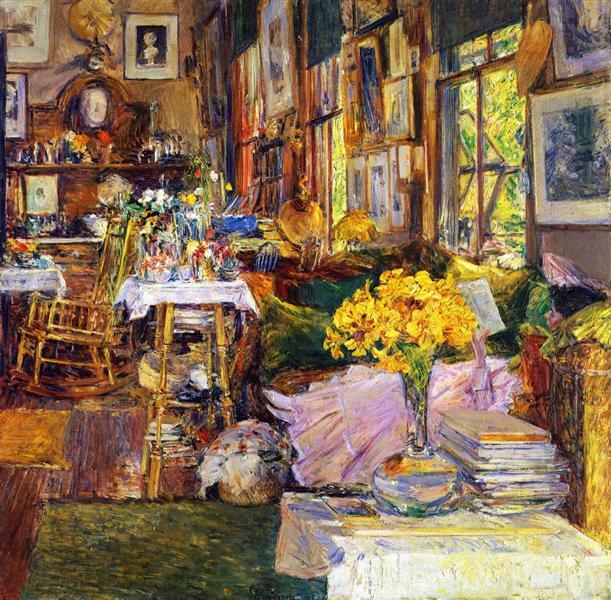 Childe Hassam (1859–1935) was the foremost American impressionist of his generation. Prolific in oil paintings and watercolors, he found his native New England to be a touchstone for his art. Hassam had a fascination with Appledore, the largest island of the Isles of Shoals off the coast of Maine and New Hampshire, and he traveled there almost every summer for thirty years. This fascinating book traces Hassam’s artistic exploration of Appledore and reveals a complex portrait of the island created over time. John W. Coffey, working with the marine biologist Hal Weeks, revisits Hassam’s painting sites, identifying where, what, and how the artist painted on the island. Kathleen M. Burnside considers the range of the artist's stylistic responses to the island's nature. A photo essay by Alexandra de Steiguer reveals Appledore’s enduring beauty. In July 2016 Tate Modern opens a major retrospective of American modernist painter Georgia O’Keeffe (1887-1986), the first UK exhibition of her work for over twenty years. Marking a century since O’Keeffe’s debut in New York in 1916, this ambitious and wide-ranging survey will reassess the artist’s place in the canon of twentieth-century art and reveal her profound importance. With no works by O’Keeffe in UK public collections, the exhibition will be a once-in-a-generation opportunity for audiences outside of America to view her oeuvre in such depth. Widely recognised as a founding figure of American modernism, O’Keeffe gained a central position in leading art circles between the 1910s and the 1970s. She was also claimed as an important pioneer by feminist artists of the 1970s. Spanning the six decades in which O’Keeffe was at her most productive and featuring over 100 major works, this exhibition will chart the progression of her practice from her early abstract experiments to her late works, aiming to dispel the clichés that persist about the artist and her painting. Opening with the moment of her first showings at ‘291’ gallery in New York in 1916 and 1917, the exhibition will feature O’Keeffe’s earliest mature works made while she was working as a teacher in Virginia and Texas. and Blue and Green Music 1919. 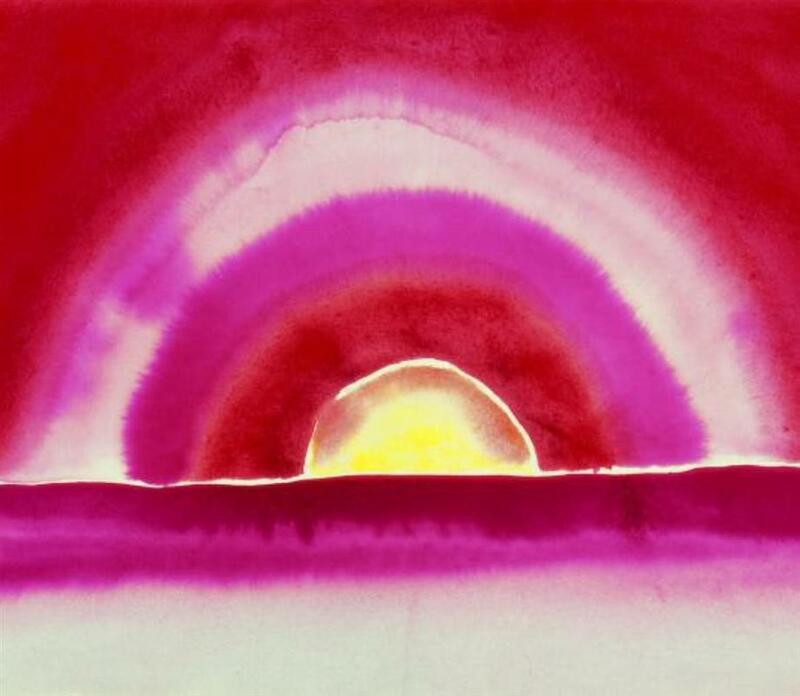 These works investigate the relationship of form to landscape, music, colour and composition, and reveal O’Keeffe’s developing understanding of synaesthesia. A room in the exhibition will consider O’Keeffe’s professional and personal relationship with Alfred Stieglitz (1864-1946); photographer, modern art promoter and the artist’s husband. While Stieglitz increased O’Keeffe access to the most current developments in avant-garde art, she employed these influences and opportunities to her own objectives. Her keen intellect and resolute character created a fruitful relationship that was, though sometimes conflictive, one of reciprocal influence and exchange. A selection of photography by Stieglitz will be shown, including portraits and nudes of O’Keeffe as well as key figures from the avant-garde circle of the time, such as Marsden Hartley (1877-1943) and John Marin (1870-1953). and close cropping in Oriental Poppies 1927. One of the highlights of the major Georgia O’Keeffe (1887-1986) retrospective opening at Tate Modern this summer will be the celebrated flower painting,Jimson Weed, White Flower No. 1 1932. This iconic painting is an important example of the artist’s investigations into still life, and particularly the flowers for which she is most famous. 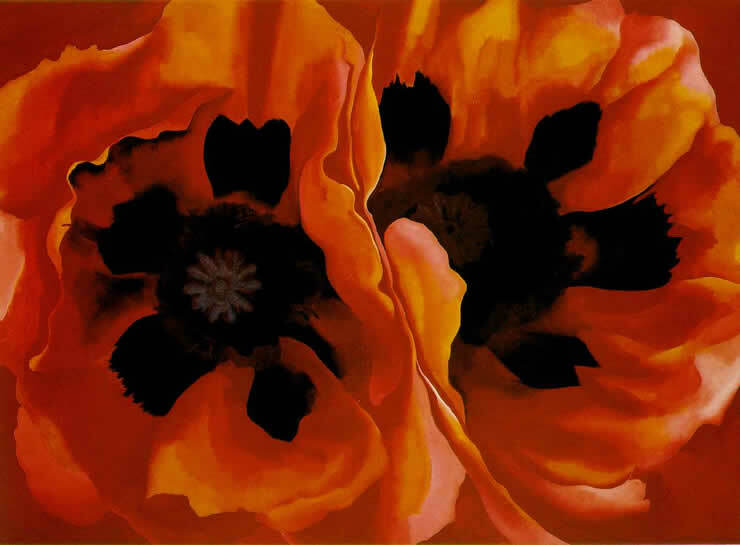 The Jimson weed bloom is native to New Mexico and the focus O’Keeffe affords it in the painting reflects her growing affinity with the region in the 1930s - an association that would continue throughout her lifetime. Being fond of this particular plant, she allowed Jimson weed to flourish around her patio at her home in Abiquiu and made it the subject of multiple works, each time presenting a new viewpoint. The frontal perspective on the flower in Jimson Weed, White Flower No.1 1932 and the symmetry this gives the composition, makes it a particularly striking work in the series. O’Keeffe’s most persistent source of inspiration however was nature and the landscape; she painted both figurative works and abstractions drawn from landscape subjects. 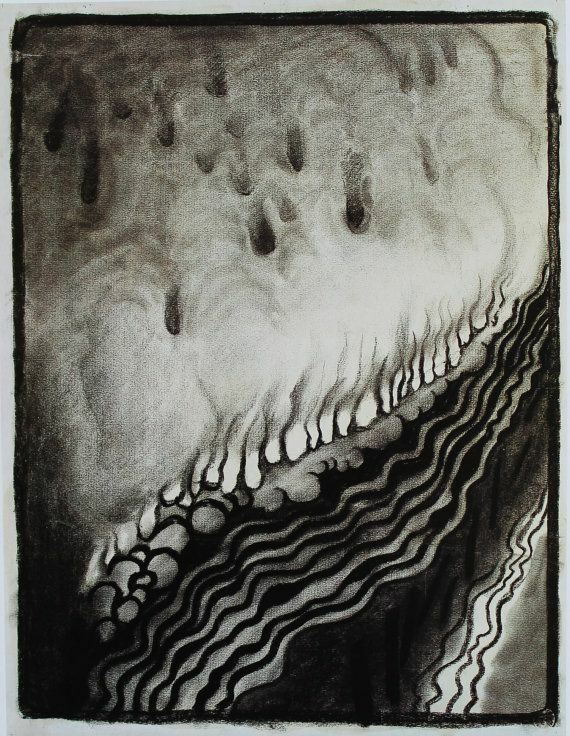 Black Mesa Landscape, New Mexico / Out of Black Marie’s II 1930 and Red and Yellow Cliffs 1940 chart O’Keeffe’s progressive immersion in New Mexico’s distinctive geography, while works such as Taos Pueblo 1929/34 indicate her complex response to the area and its layered cultures. Stylised paintings of the location she called the ‘Black Place’ will be at the heart of the exhibition. and The Edge of Victory (1987), a magisterial tableau made upon a tape-encrusted and stained boxing tarp from the old Gramercy Gym that Schnabel inscribed and painted with sweeping white marks. Without regard to chronology, this selection of radical, foundational pictures is hung in relationship to works from the past fifteen years. and a regal full-length Portrait of Tatiana Lisovskaia As The Duquesa De Alba II (2014) referencing Goya. and George Romney’s Study for ‘The Lapland Witch,’ completed c. 1775–77. 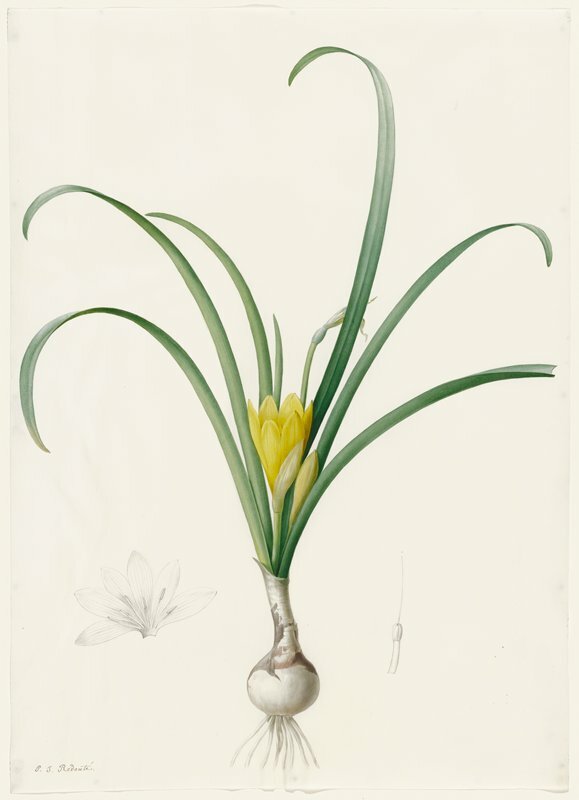 and Pierre-Joseph Redouté’s Amaryllis lutea. c. 1800-06.
and Egon Schiele’s Standing Girl, c. 1910.
and Ernst Kircher’s Seated Woman in the Studio, completed in 1909.
and Ludovico Carracci’s Judith Beheading Holoferenes, c. 1581–85. 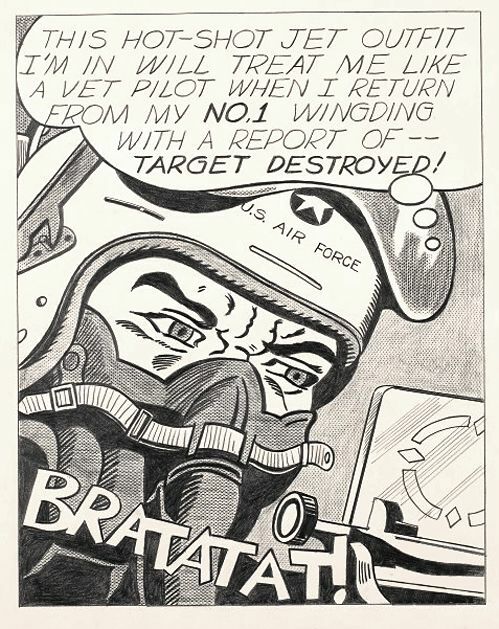 and “Appropriation” with Roy Lichtenstein’s 1962 Bratatat! 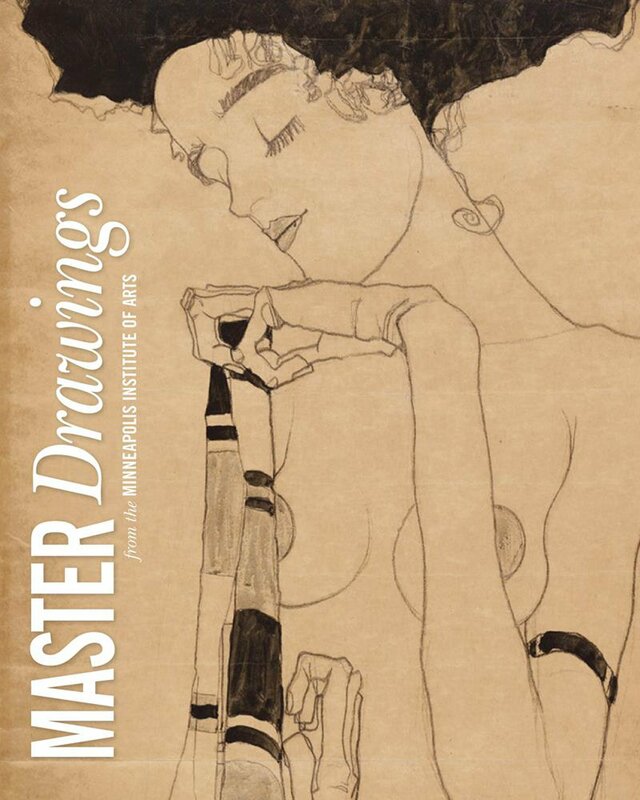 This sumptuously illustrated book celebrates the superb yet little-known collection of drawings at the Minneapolis Institute of Art. 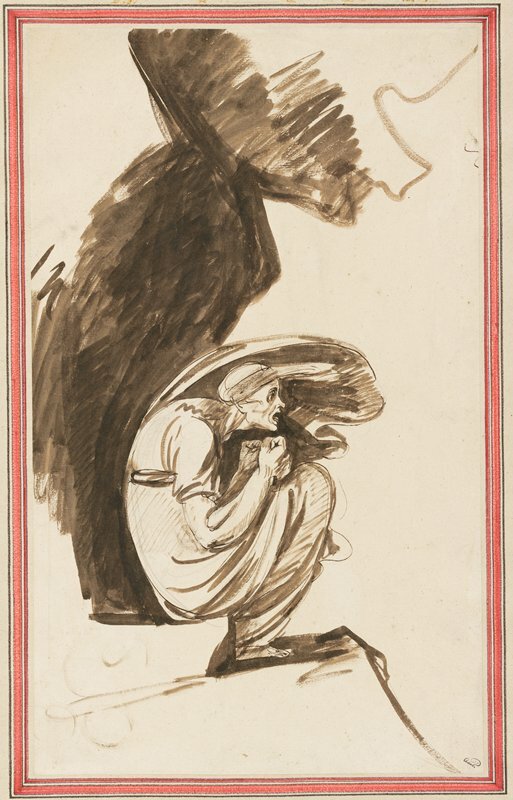 The probing catalogue entries, written by a number of scholars, tell the story of each drawing and examine its place within the artist’s oeuvre, supported by new research, provenance documentation, and bibliographic information. The book includes more than 225 illustrations, essays by Rachel McGarry and Thomas Rassieur, and contributions by Rachel McGarry, Tom Rassieur, Dennis Michael Jon, Marla J. Kinney, Roberta Bartoli, Patrick Noon, Eike D. Schmidt and Erika Holmquist-Wall. Two Studies for a Self-Portrait (1970) will lead Sotheby’s Evening Auction of Contemporary Art in New York on 11 May 2016, with an estimate of US$22-30 million. 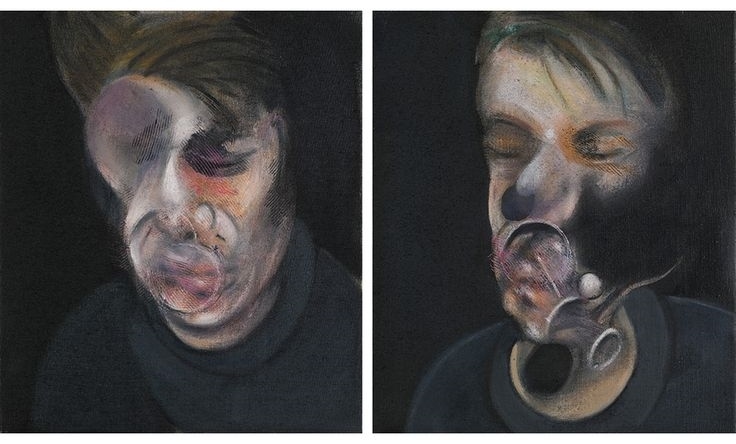 While Bacon is renowned for capturing the tortured psychological depths of human existence in his portraits, the overwhelming positivity of Two Studies for a Self-Portrait renders this work almost unique in the artist’s oeuvre . Here we see an elated Francis Bacon on the cusp of his career-defining retrospective at the Grand Palais in 1971 (Bacon was only the second living artist, after Picasso, to be afforded this honour), and in the throes of his relationship with George Dyer, whose suicide a year later was to haunt Bacon (and shape his art) for decades to come. Little known to the public eye, Two Studies for a Self-Portrait has been exhibited only twice before - first at the acclaimed 1971 Grand Palais retrospective and then most recently at Marlborough Fine Art Small Portrait Studies exhibition in London in 1993. 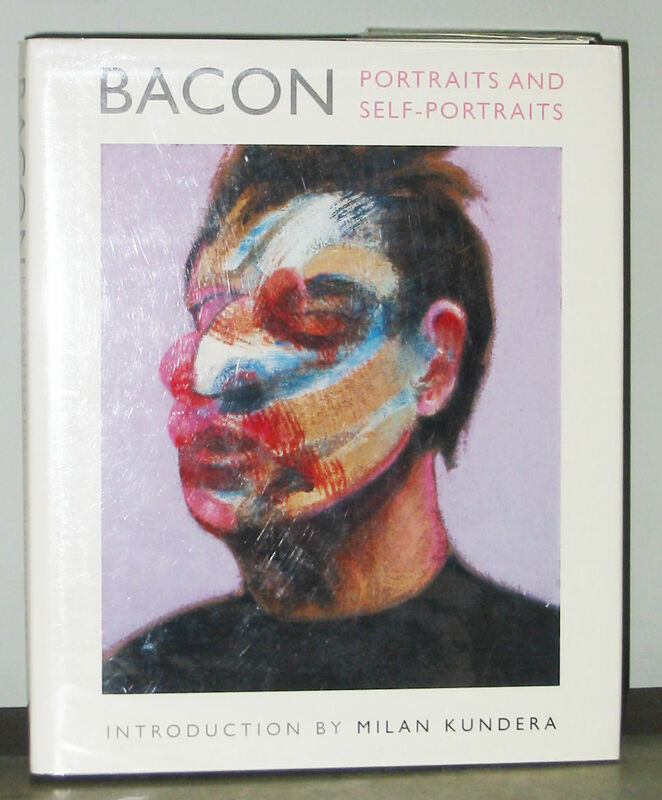 Francis Bacon: Portraits and Self-Portraits, confirming its position at the ab solute zenith of Francis Bacon’s most significant and enduring body of work. Two Studies for a Self- Portrait (1977) sold at Sotheby’s in February 2015 for £14.7m ($22.4m). 2016 is set to be a red-letter year for Francis Bacon with exhibitions of his work planned at the Grimaldi Forum in Monaco (sponsored by Sotheby’s), at Tate Liverpool, and at the Getty Museum in Los Angeles. The most significant publication on the artist for 30 years, Francis Bacon: Catalogue Raisonné , edited by Martin Harrison, is set to be released in the next few months. Francis Bacon: Catalogue Raisonné is a landmark publishing event that presents the entire oeuvre of Bacon’s paintings for the first time and includes over 100 previously unpublished works. The impeccably produced five-volume, slipcased publication, containing each of Bacon’s 584 paintings, has been edited by Martin Harrison, FSA, the pre-eminent expert on Bacon’s work, alongside research assistant Dr Rebecca Daniels. An ambitious and painstaking project that has been ten years in the making, this seminal visual document eclipses in scope any previous publication on the artist and will have a profound effect on the perception of his work. On 11 May 2016 Sotheby’s New York will offer Untitled (New York City) by Cy Twombly in the Contemporary Art Evening Sale. The work is the only painting from the famed Blackboard series executed with blue loops on grey ground and boasts a remarkable history. It was acquired by the current owner from the artist’ s studio immediately after it 2 was executed in 1968, and has not been seen in public since. Untitled (New York City) is expected to fetch in excess of $40 million. Untitled (New York City) is a one-off example of the artist’s most hallowed series of Blackboard paintings through which he forged a new visual language in a period of great convergence in postwar art. However, unlike every other Blackboard painting that bears white loops, in Untitled (New York City) Twombly used a blue, rather than white, wax crayon to create the endless ove rlapping loops on the wet paint. At over 28 square feet, the work belongs to the elite group of large-scale works by Twombly that can be found in the world's great museums including: The Museum of Contemporary Art, Los Angeles; The Menil Collection, Houston; and The Solomon R. Guggenheim Museum, New York. Untitled [New YorkCity], 1968 from the collection of Los Angeles philanthropist Audrey Irmas. That work was the second Twombly Blackboard to exceed $65 million in the previous 18 months. 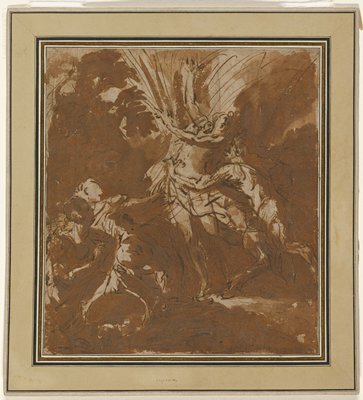 The sale will also include a major late Twombly: Untitled (Bacchus 1st Version V) . The appearance of the 2004 work in May marks the first time an example from the series, that is widely recognized as defining the artist’s late work, has appeared at auction. The painting is expected to fetch in excess of $20 million and will also be on view in Los Angeles alongside highlights by Franci s Bacon and Andy Warhol.